Rumours that a 47lb Tope was caught from Chesil Beach are true. I have seen the pictures of what can only be described as one of the best fish to have been caught on Chesil for years. Unfortunately at this time I do not have permission to post the pictures. It is no great surprise that we are seeing large predators, as the waters around here are teaming with Mackerel. I have heard that it is not so good around Poole. Because there are so many Mackerel around it is proving to be one of the best baits for many species including Bream and Bass. I fished from the boat a few days ago for Bream and Mackerel strip far out fished my normal bait choice of Squid strip. It does seem that the size of the Mackerel this year are much bigger than last years average size, but few have reached as large as this 2lb 6oz. monster that Ben managed to catch earlier in the week. There are a number of people that I look up to in sea angling, and on that is top of my list is local man Mike Laddle. Mike has probably forgot more about fishing than I will ever learn. A rare opportunity has come up to join one of the countries leading authorities on fish behaviour and learn how to improve your angling knowledge and skills. Mike, (author, scientist and renowned Bass angler) shares his lifelong experience of angling and his work in marine ecology in this 4 evening session course. Tuesday 2nd, 9th, 16th & 23rd September, 7—8.30 pm, £75 for the course and it includes one practical session. For details contact the Rangers at Durlston Country Park (01929 424443) or go to www.durlston.co.uk/events – booking essential. Weymouth Bay: Calm with clear water. Chesil Beach forecast: It looks like Chesil is back in to full swing again with lots of fish and loads of different species being caught. If you want Bream and Gurnard head to Ferrybridge at the Portland and Weymouth end of the beach. Cod have been coming from the same area and further west towards Bridging Camp which has deeper water. It is a bit of a hike, but can be well worth it. Abootsbury and West Bexington will produce a few Bream, but there is a good chance of Red Mullet and Plaice from there, as well as Rays. Mackerel can be caught all along the beach. Portland: Plenty of Wrasse and a few Pollock being caught from Portland Bill. 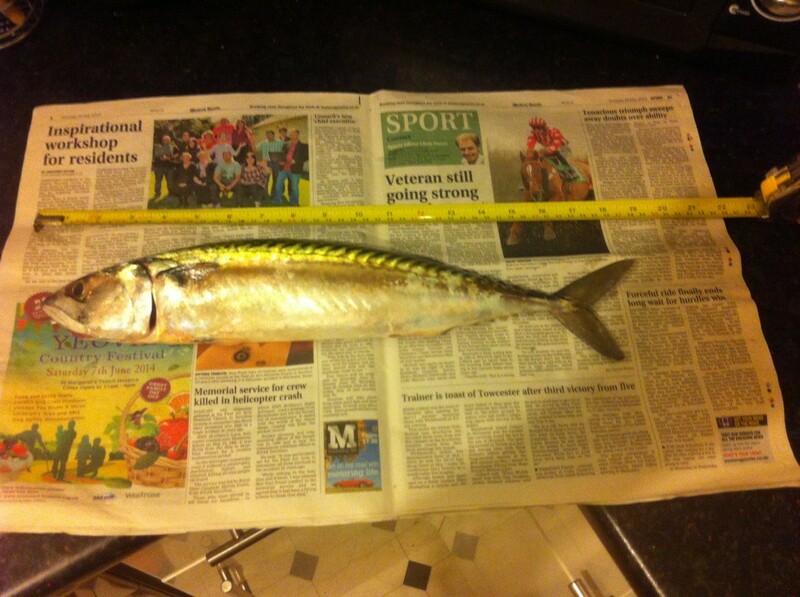 Try float fishing with a strip of Mackerel for Garfish, Mackerel and Pollock. Portland Harbour: Fishing has been slow in the harbour with a few small Bass and Pollock being caught at Ferrybridge. There are plenty of Mullet around the sailing club at Sandsfoot and Castletown. Weymouth Bay:Loads of fish being caught on both piers. I have yet to have a go for the Mullet in the harbour this year, but there looks like plenty to choose from. Preston can often produce some nice Rays at this time of year. You are always in with the chance of a Bass, especially on the flood and over high water. Lyme Regis: A few Bass showing on Monmouth.